Today is supposed to be the hottest days thus far this year– temperatures reaching nearly 100 degrees fahrenheit, and feeling it too. On my bike ride this morning, the Red Hook bank’s big sign indicated at 0630, it was already 78 degrees. Yuck. I’m not a heat-loving person. I prefer cooler (not frigid though) temperatures. Everywhere you go- even walking out to my car, I start to sweat. Thank the wonderful person who invented air conditioning, even though I prefer not to use the AC because it consumes crazy amounts of energy. But, when times get desperate, and when I need to sleep during the day, which is when the temperatures peak, I lose self control and turn on the AC (which is actually off right now, because a fuse blew). Nothing is fun in 99 degree heat, with 100% humidity. Nothing. Well, except for swimming outside. That allows for some relief from the heat. And I don’t mean outdoor pools either. Lakes. Large bodies of water. Thank goodness I got over that fear of open water swimming! 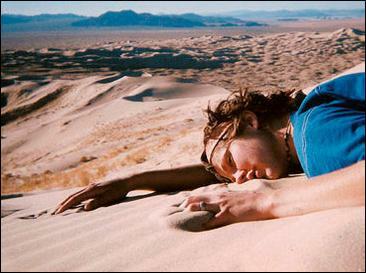 And, in this heat, heat stroke and dehydration come into play, especially athletes. I realized I can no longer do things before work because it is too hot, so from now on, will need to do my runs/swims/bike rides right after I come home from work in the mornings while it is slightly still cool (not sure how my feet will like that after being on them for 12 hrs). It is possible to ride/run in this heat, but dehydration is a serious issue and can lead you into a coma and even death. Basically, dehydration is when your body does not have the amount of fluids that it should–the body is depleted of fluids. This can be from sweating, not consuming enough water, medical conditions where there is excessive urination (like uncontrolled diabetes and diuretic use), also through vomiting and diarhhea. Luckily for adults, it’s harder for us to become dehydrated than children, because they have smaller body weights. From a medical perspective (yes, I am bringing my nursing into this, sorry), there are three stages of dehydration (taken from ENA’S 6th Edition of Emergency Nursing, 2007), but I will just go through the basics with you with. When you are dehydrated, you can feel some of the below effects. As an athlete, if you are exercising during times when it is hot, it is vital to replenish both fluids and electrolytes that you lost through sweat.Sports drinks, or electrolyte replacements can be used, as well as drinking water. Nuun Hydration tablets can be used to replace the electrolytes lost through sweat. The below video, taken from The Fruitarian , has some some very good insight into hyponatremia, which can occur with dehydration– he speaks about ultra marathons, but it is good for any athlete who is exercising for longer periods of time. During exercise, you should drink 4-8oz of water every 15-20 minutes, or more, if the weather is extremely hot. After exercise, you should drink 16-24oz per pound lost–this is if you weigh yourself before you exercise. The loss of sweat through perspiration and the normal functioning of body systems can lead to serious issues! Drink Up! Your body will thank you. There are many different hydration packs on the market geared for running, biking, hiking, etc. Runner’s World has a review of hydration packs which can be found here. I use a small camelbak when I run, or an Amphipod “Full Tilt” waist pack, as I do not like to run with something in my hand. When I bike, I need more water, and the small Camelbak I was using which holds about 500cc of water was just too little. So I ordered a pack which has a larger water resevoir. While I am on the topic of heat, it’s strongly advisable, if you can, to exercise early in the morning to avoid the heat, or, at night (like me), when the temperatures are cooler. 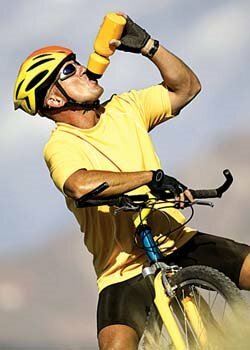 How do you hydrate during long rides/long runs/long periods of exercise?